I was a little girl and that love of music was also inspired by my mother and father. When I was 15 years old, I entered a music talent contest held at a bowling alley in Fort Lauderdale, FL. I won the contest and this accomplishment launched my career in music. I’ve recently released an album “Promises” through Mississippi Music Artists.com. This release was a new start in my music. In fact, there were two albums “Introducing Shannon Battle followed by “Promises.” l will be working on more recordings in upstate New York in mid-august. I am also in conversations with a Nashville label and a possible signing opportunity. The thing that is changing in my music and music style is related to my own personal growth, changes within myself from my personal experiences in relationships, with my faith and from my fan appreciation -my own spiritual growth is changing and driving my music into a place in which I am striving to write music that is much more about who I am through my life experiences, about life and love, about friends and the changes we experience living from day to day. 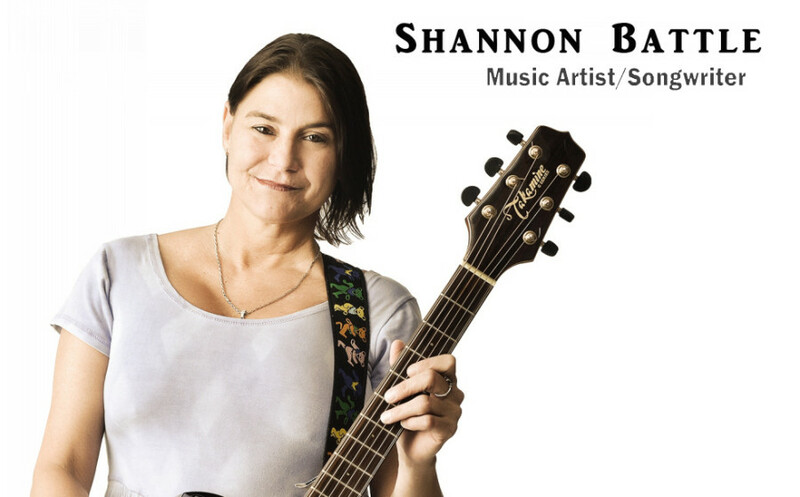 Our plans are to continue marketing my music through my website; shannonbattlemusic.com and through the music label connections when I am signed. I enjoy spending time writing music. I am a working artist and spending time to explore new music ideas and the pursuit of my own work is enjoyable to me. This gives me a break from working as an artist. I live at Pompano Beach, Fl. The music scene in my area is basically several artists mostly doing covers in various settings (bars, hotel lounges and various beach venues). Pretty much same old, same old. I have been disappointed so many times. Past opportunities did not always workout. I am a working artist first. I have to work at playing for a living and finding time to write new material while preventing burnout. This is sometimes a delicate balance. I am hopeful that I am on my way to a new level of personal achievement and success through promising events that are now looming on my horizon. gives me the opportunity to share photos and sound bytes from my gigs. It is also a way of promoting my appearances. I am definitely challenged as a computer user so, I am an artist first and I primarily rely on my promoter, Ray Vaughn to work with me on promotions and information that is shared and distributed on the web through my website. I would still prefer to release albums of several songs. In today’s world of streaming media, songs can be downloaded one at a time or by the whole album. I believe it is important to give the listener the option of downloading a whole album to have a complete overview of my style, my sound and my work. But I am still working with a physical album or CD for those who want the entire work, story and artwork associated with my music. A physical CD is a work of art within itself, my music, and a visual glimpse of who I am as an artist. is very important. It is the only way for an artist to grow and meet new audiences. 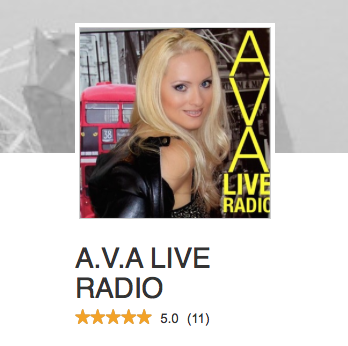 I will continue to press forward using my website to promote and advertise as well as other websites like Reverbnation.com and Facebook and through radio talk shows and promo plays on radio stations. Bill Withers. He is a fantastic writer and has been a major inspiration to me early on in my music. I still love his work and was very glad when he was inducted into The Rock And Roll Hall Of Fame in April 2015. I believe that there is absolutely too much emphasis on being trendy and current. I play the music that is me. That speaks from my heart and soul and I hope that listeners will appreciate me for the impact I make out of my own work and not out of a trend. The best music is timeless and that is the kind of music I love and want to share with the world. A great song that takes the listener on a personal journey is an experience that touches something of meaning in their lives. I have not made a video yet so we can put that one aside for now but we have plans for a video in the future. I like to find time alone to think and concentrate and explore the music I hear in my head and to write down these words and play the music in order to capture my inspiration in my mind so that I can revisit it and continue to work on it until the song is complete. I often make audio notes on my recorder of song lyrics or chords on the guitar as a message to return to and continue the inspiration at a time that is more convenient. Moments that will become writing sessions later on. trying to stay fresh with my attitude and drive to play and record music and by managing my time to allow regular sessions to write and explore new music when I am not working or playing in a club. And I challenge myself by keeping a positive outlook about my future potential by keeping my music dream alive. being misunderstood, misinterpreted and being broke. My music and guitar talent skills have been honed over the past 20 plus years and I am confident of my music and vocal abilities, but there is always a little edge of fear that I will not meet my own expectations or the expectations of my fans. This edge of fear is always there in my thoughts as I explore my life through my music but it is something that I use to press forward in expectant hope of writing better music and songs. completing a great song and getting it recorded. One that I can honestly say I am happy and satisfied with the final results and one that lives up to my own expectations. A work that is well received and respected and a success. A work that is completely me and one in which I am full-filled. 1. I opened Bertie Higgins “Key Largo” in Tokyo for a beautiful concert experience and the fans were great. 2. I also opened for Firefall “Just Remember I Love You” and after the concert spent a weekend deep sea fishing with the band playing our guitars on the boat. 3. I won the John Lennon songwriters contest. Also, I have opened and performed with other artists like Eddie Money, Elvin Bishop & Edgar Winter. 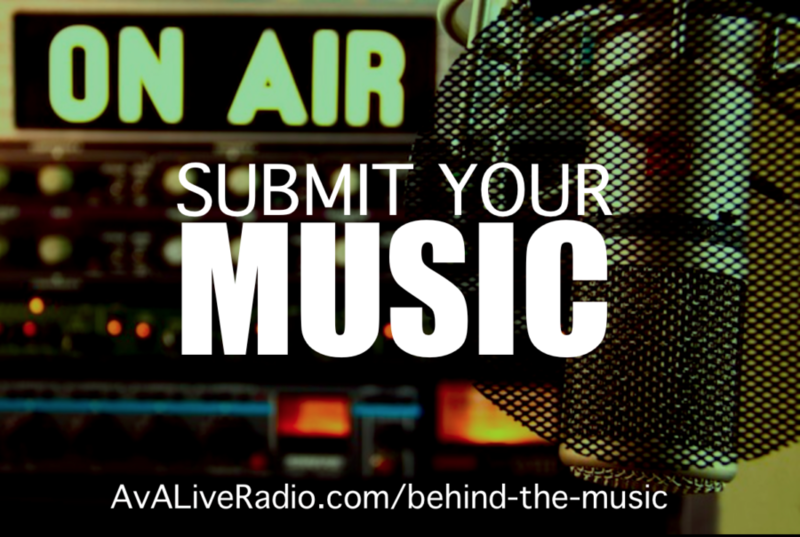 to become recognized and established for my music style and sound and to write, perform and tour with other known music artists and songwriters. inside my head, and the desire to share my work with music listeners motivates me. my songwriting and to work toward bringing new songs to life and express myself through my music. 3) Working with other artists and songwriters to broaden my music experience and to discover new inspiration through this experience that will help shape new music ideas for new songwriting projects. I find that working with other songwriters can be mutually rewarding and inspiring through the experience of working together and sharing. 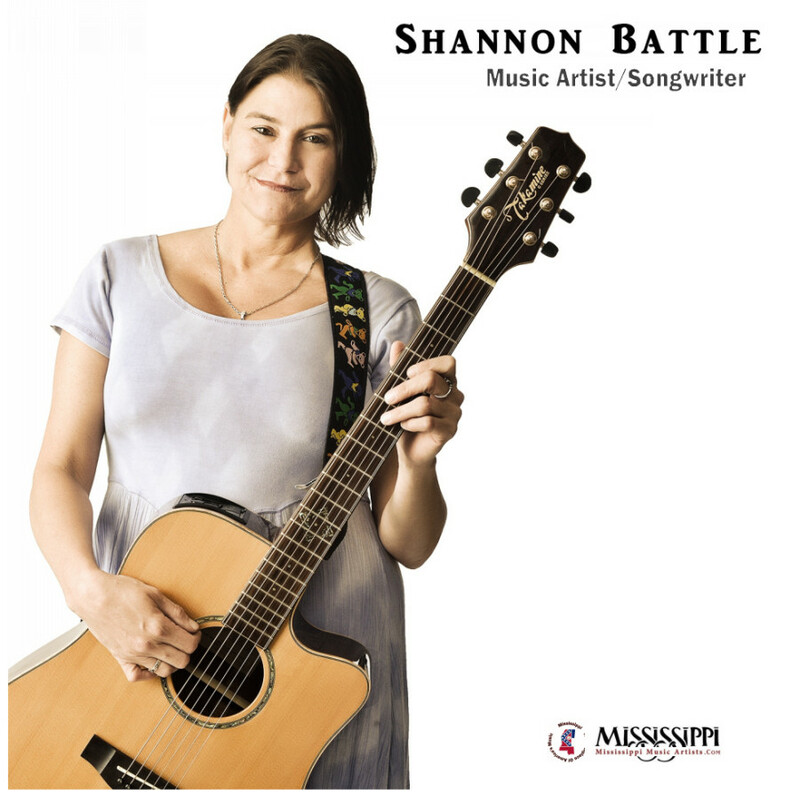 Shannon Battle’s promoter is Ray Vaughn, the founder of Mississippi Music Artists.com. Ray is also a music artist who enjoyed a hit record in the late ’60s and recorded with greats like Paul Davis, George Soule and Jimmy Elledge and has connections to the Loving Spoonful, David Huff, Lenny LeBlanc and many more successful artists. He is actively involved with record labels and promoting my current and future work. And secondly, most of the songs on my new CD “Promises” were co-written and produced by Frank Morris. Frank was the lead guitar player for the great artist Paul Davis (I Go Crazy, Cool Night, ’65 Love Affair, Sweet Life) and many, many more hits. Frank assimilated much of Paul Davis’ style and brings this to life in the music we have recorded together.